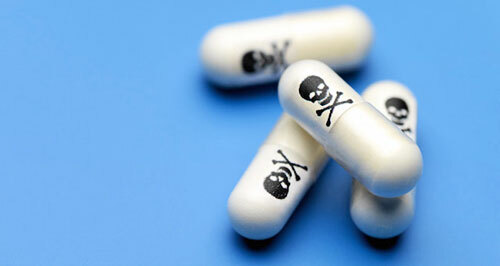 Study Finds Medical Errors are 3rd Leading Cause of Death - Time for More Natural Approaches? Phillip J. Watt lives on the Mid North Coast of NSW Australia. His written and film work deals with topics from ideology to society, as well as self-development. Along with more than 100 other nations, the United States uses a system for collecting national health statistics - recommended by the World Health Organization - that does not keep track of medical errors. This obviously brings the entire medical paradigm into question. Of course there have been many amazing successes from the modern approach to medical care, such as surgery and some pharmaceuticals. How do we know which so-called modern medicines are actually worthy to disperse at large and which are not? How do we know when a pharma drug is unnecessary because there are more natural and effective remedies available? When we consider the corruption and collusion that exists within an industry that has been monopolized as part of the corporatocracy, it really is difficult to know. Anybody with any knowledge on the medical industry will know that it has long been corrupted by big money and big pharma. It is important that we start off with this established truth, because we have to understand that the pharmaceutical-industrial complex will one day be looked at by the mainstream mentality as we now look at the tobacco industry: deceptive, fraudulent, criminal and unethical. One such authority is Dr. Richard Horton, the current editor-in-chief of the Lancet - considered to be one of the most well respected peer-reviewed medical journals in the world. How long can we as a society allow this dysfunction to harm not just ourselves, but our kids too? Simply, there are many natural, plant-based medicines that have been clinically proven to be a highly effective tool for healing the body and growing the mind. Many of these substances are illegal, however, which is just another reason why the war-on-drugs has been an epic failure. It is clear that many governments of the world have failed to truly accept some extremely important facts around dealing with the substances that make their way through our communities. It's not just so-called illegal substances that are high in therapeutic and developmental potential, other basic ingredients such as bicarbonate soda have been shown to help the body to heal itself, even of cancerous tumors. Various herbs are also on the list of helpful ingredients that combat illness. In any case, regardless of the many negative impacts that the war-on-drugs has subjected to our individual and collective health, the longer we allow the governments of the world to continue to spread ignorance and fear towards what really are ancient, well-established and clinically-proven approaches to caring for ourselves, the longer we allow the corporatization of our system to run rampant and the longer the potential benefits to our society are missed opportunities. In addition, the best approach to health is preventative care. That means along with tools such as meditation, eating nutritious and natural foods will always help to maintain the balance of the mind and body. The truth is that the corrupted pharmaceutical-industrial complex and their increasingly toxic medicines, as well as a prescriptive instead of a preventative medical model, has hijacked our approach to health-care and treatment. This is a world that we have consented to; the sooner we stand up as a people and demand that it change, the sooner we will reconnect with the natural therapies and re-nourish our collective spirit. "There is no 'alternative medicine'. There is only medicine that works and medicine that doesn't work". This is something that we can no doubt agree with, so let's hope that as a species we can finally show some intelligence and morality by calling out this toxic approach to health and vitality and open up the global gates to a valid investigation into the benefits of all substances, both natural and designed.